I like the idea of this one… an amorphous body of water that pretends to be human by "wearing" clothes. 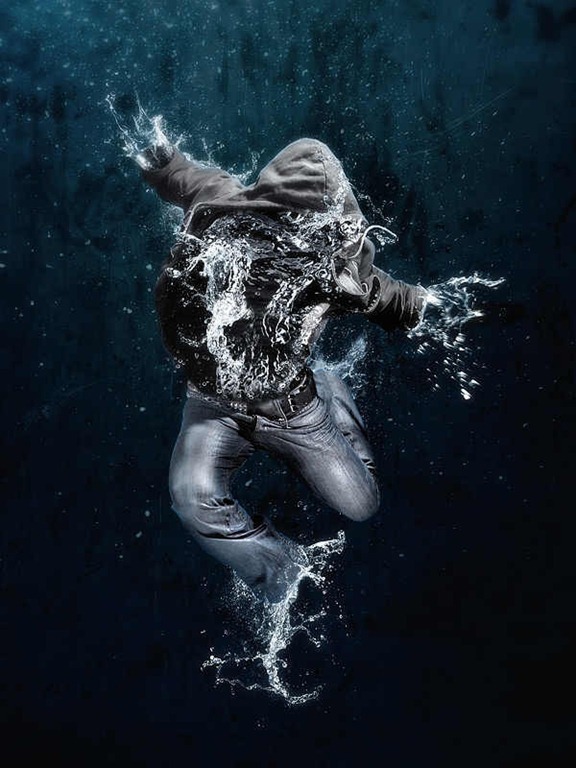 And then, there's the fun of unzipping a hoodie, and all the nightmares of Water come gushing out. I also like this one… just some watery, brooding guy :P He seems more like a conflicted traitor than the other picture. Maybe I'll give Nox the elemental gift, so he can embody both images. 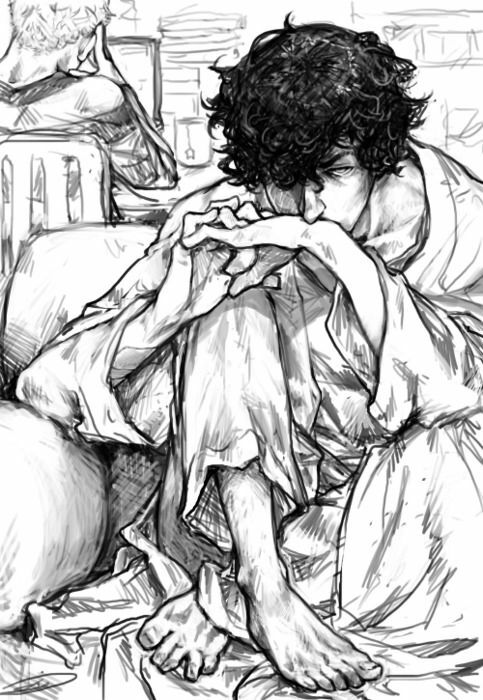 I see Nox as a young Sherlock Holmes. On the one hand, he's a quirky genius, with a lofty opinion of himself. Water is essential to life as we know it. It's a cardinal element, prominent in the physical make up of many things. On the other hand, Nox is dark and melodramatic. Water is deep and dangerous, with secrets yet untold. Nox is working with the Conclave in private. He may be seen as a traitor by some, but that will depend on who writes the history books :p I think it would be fun if his true loyalties lie with Ananda. He conspires with and against everyone to bring about the 4th age. There are three states of water (vapor, liquid, and solid), so maybe Nox divides his estate into three kingdoms: The Vaporium, The Liquiduct, and Solidus. The Vaporium is probably a stormy / cloudy / heavenly place. All I'm set on right now is that it's "up." The Liquiduct is the largest kingdom by far… making up all the rivers, lakes, oceans, etc. The lakes and rivers are lively… but the oceans at large are dark and full of secrets. I get the image of a majestic graveyard… all those sunken ships and continents, lost civilizations, and creepy fish. Solidus is the space "between" these realms. It's not a set place, in the same vein that the other water kingdoms are. It's a no-man's land to be feared and revered. It's the timeless, mystical, sleep of the Antarctic. It's the wasteland of freezers… the prison of water bottles and bath tubs (which "freeze" free flowing water into shapes). I'm sure more could be worked out here, but that's the gist of my three kingdoms.